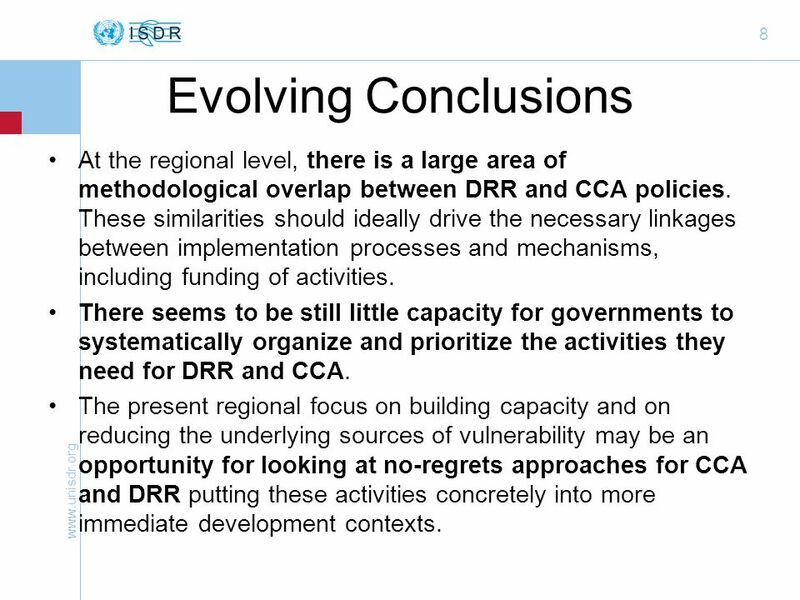 8 Evolving Conclusions At the regional level, there is a large area of methodological overlap between DRR and CCA policies. 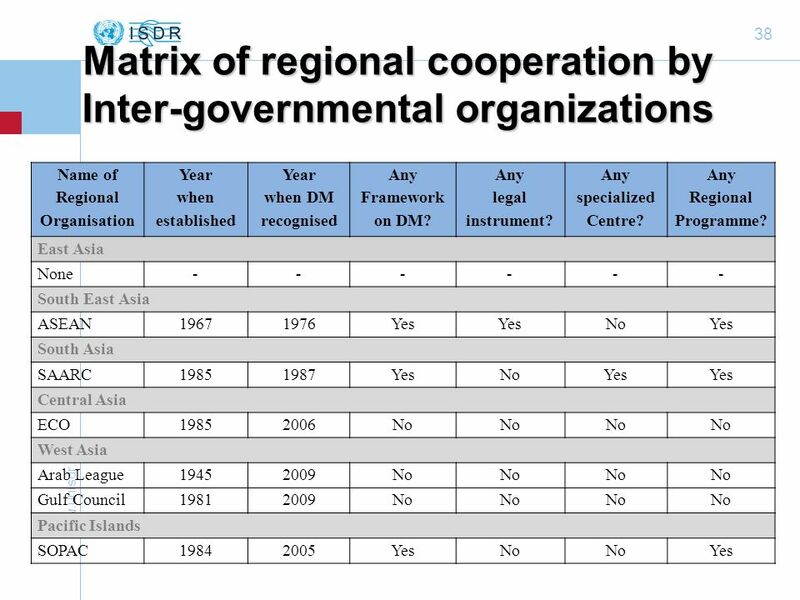 These similarities should ideally drive the necessary linkages between implementation processes and mechanisms, including funding of activities. 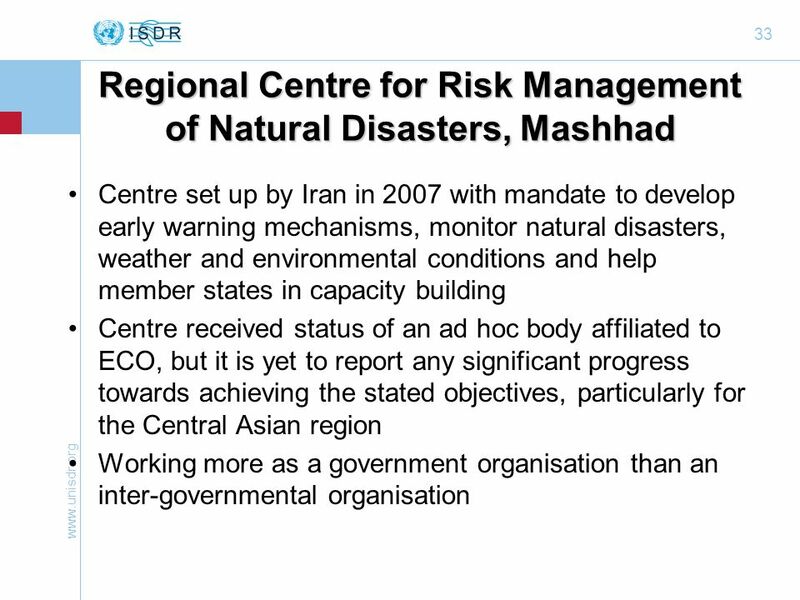 There seems to be still little capacity for governments to systematically organize and prioritize the activities they need for DRR and CCA. 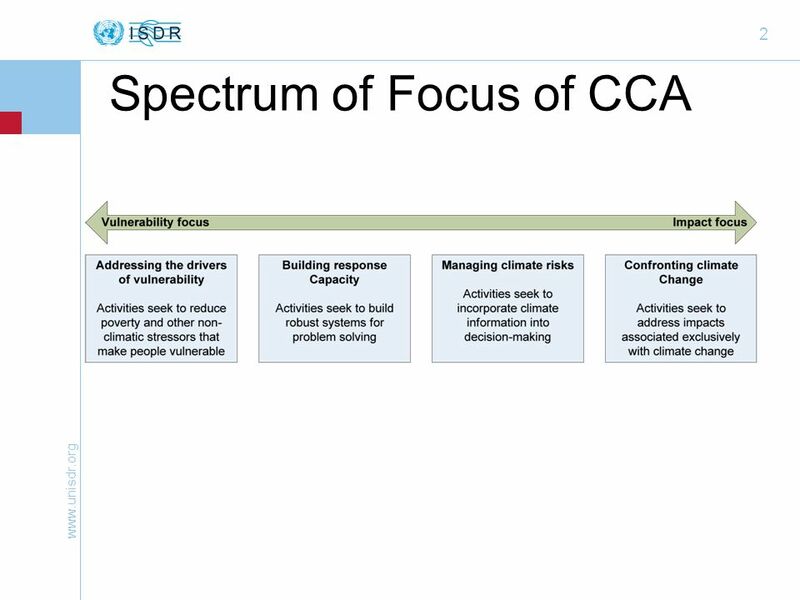 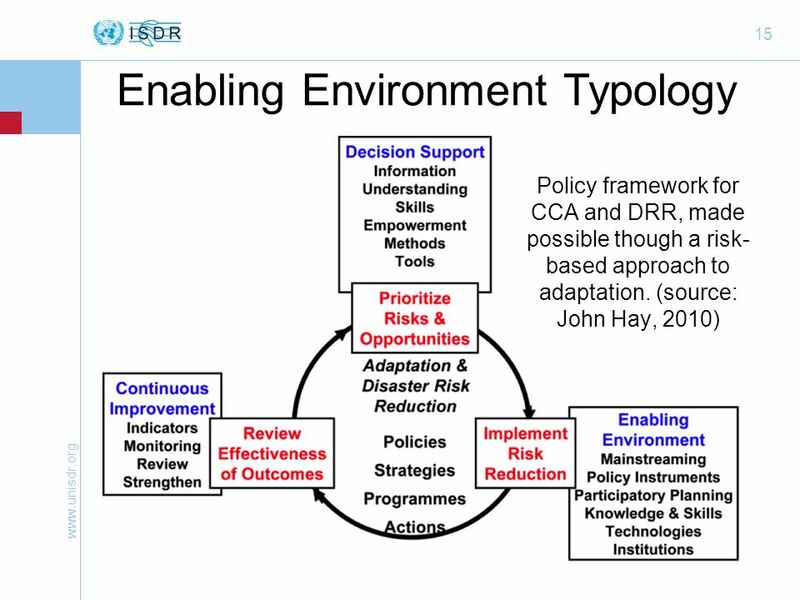 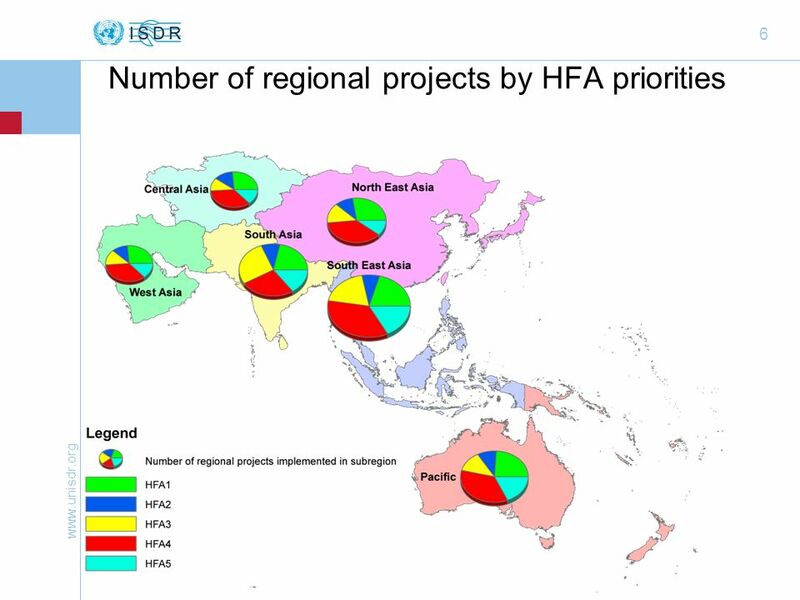 The present regional focus on building capacity and on reducing the underlying sources of vulnerability may be an opportunity for looking at no-regrets approaches for CCA and DRR putting these activities concretely into more immediate development contexts. 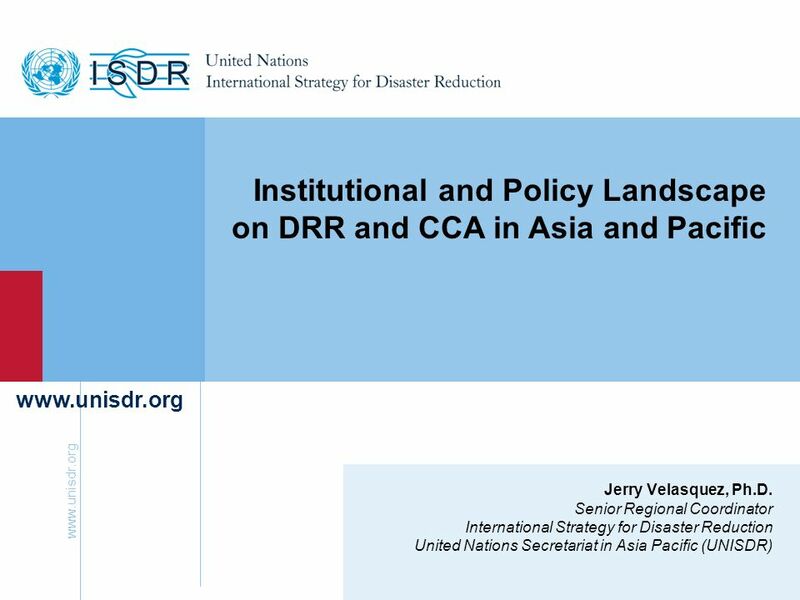 14 Evolving Conclusions The UN has the most number of institutions active in Asia Pacific engaged in DRR and CCA. 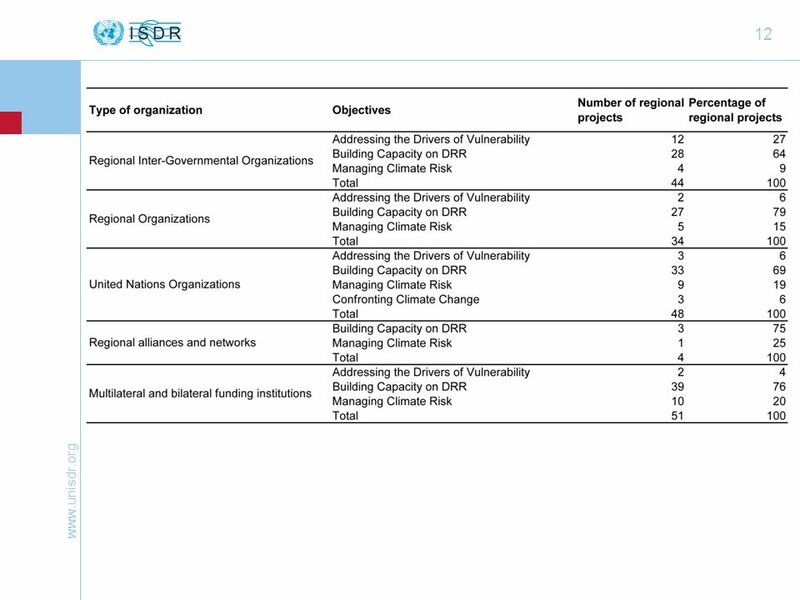 Multilateral and bilateral funding institutions and UN agencies are the ones that have started on activities that address climate impacts focusing more on managing climate risks. 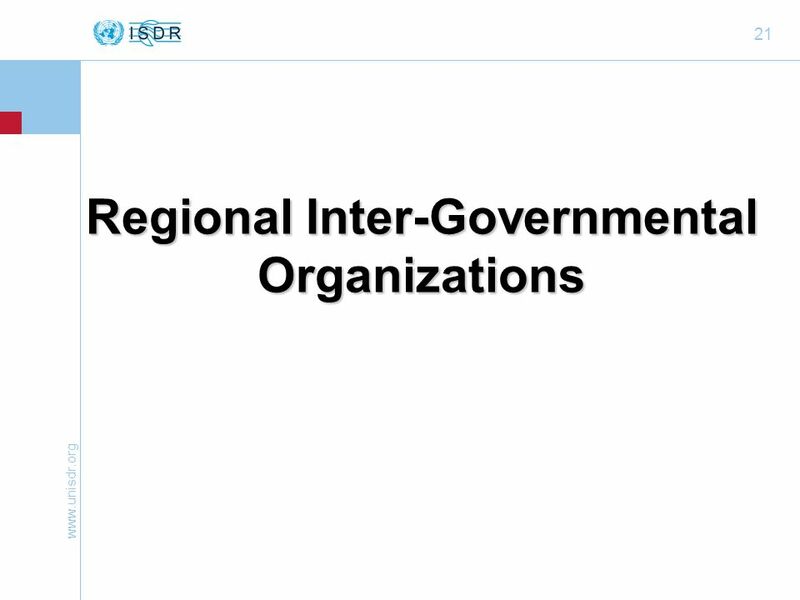 Of the ongoing activities, IGOs and multilateral and bilateral funding institutions have activities that have closer Government ownership, which naturally comes with the nature of these organizations. 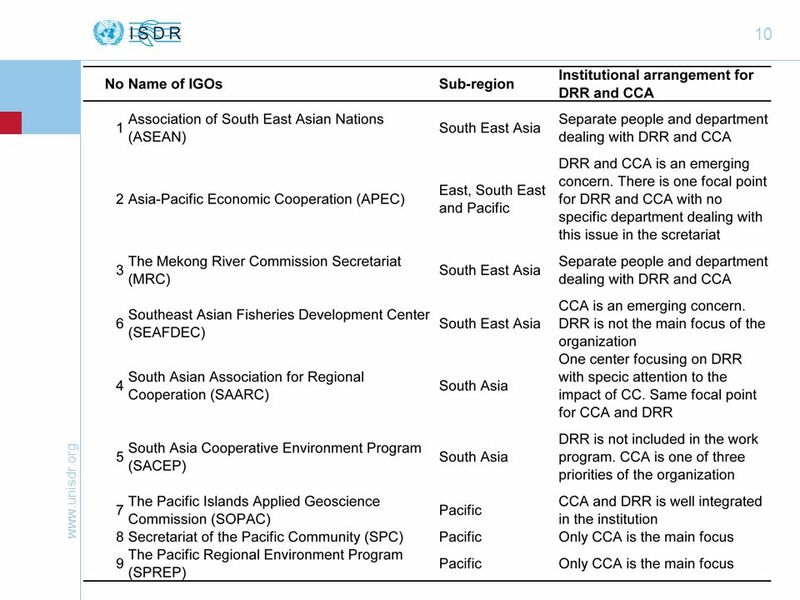 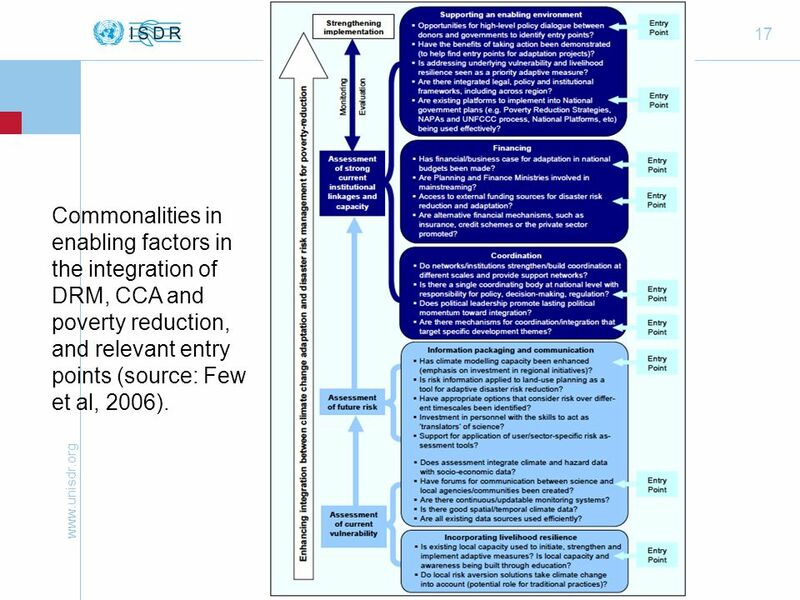 17 Commonalities in enabling factors in the integration of DRM, CCA and poverty reduction, and relevant entry points (source: Few et al, 2006). 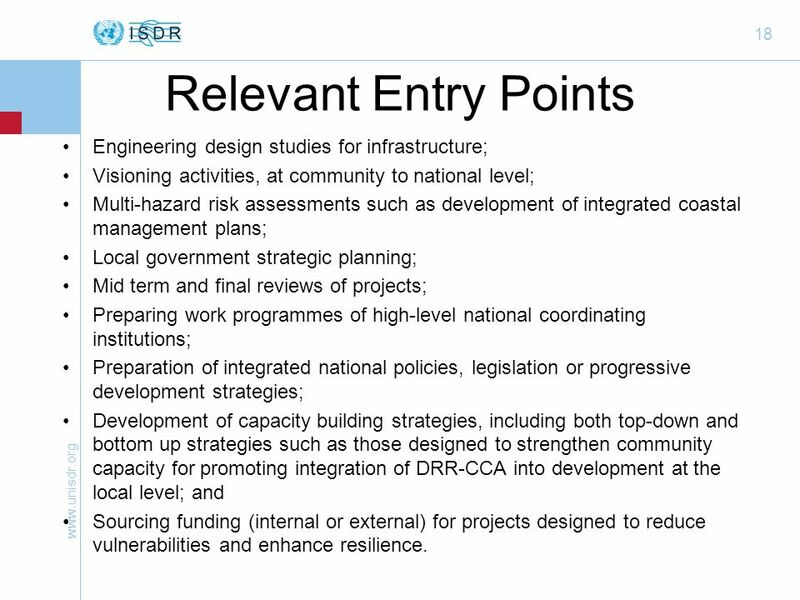 Visioning activities, at community to national level; Multi-hazard risk assessments such as development of integrated coastal management plans; Local government strategic planning; Mid term and final reviews of projects; Preparing work programmes of high-level national coordinating institutions; Preparation of integrated national policies, legislation or progressive development strategies; Development of capacity building strategies, including both top-down and bottom up strategies such as those designed to strengthen community capacity for promoting integration of DRR-CCA into development at the local level; and Sourcing funding (internal or external) for projects designed to reduce vulnerabilities and enhance resilience. 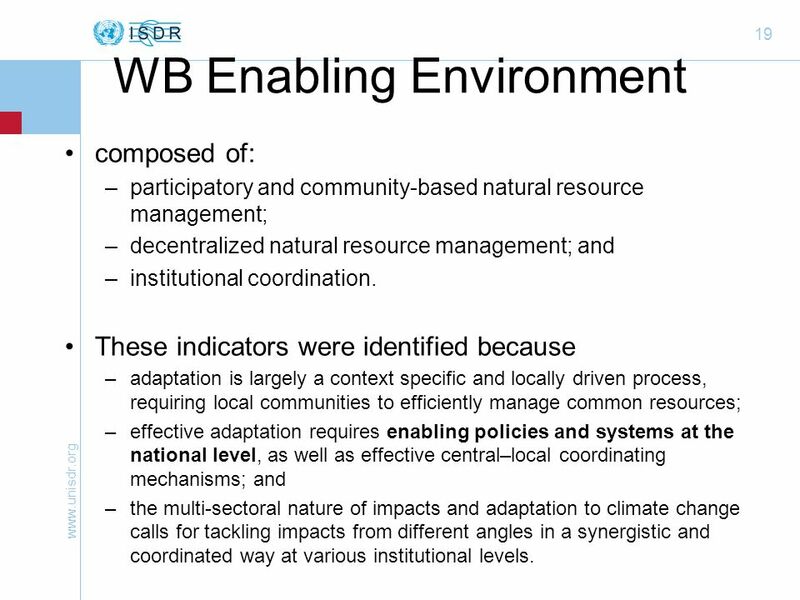 composed of: participatory and community-based natural resource management; decentralized natural resource management; and institutional coordination. 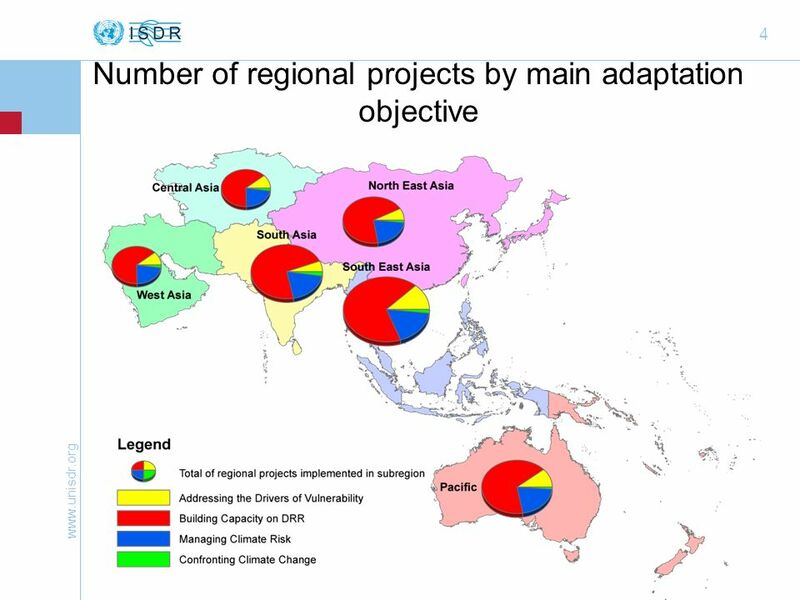 These indicators were identified because adaptation is largely a context specific and locally driven process, requiring local communities to efficiently manage common resources; effective adaptation requires enabling policies and systems at the national level, as well as effective central–local coordinating mechanisms; and the multi-sectoral nature of impacts and adaptation to climate change calls for tackling impacts from different angles in a synergistic and coordinated way at various institutional levels. 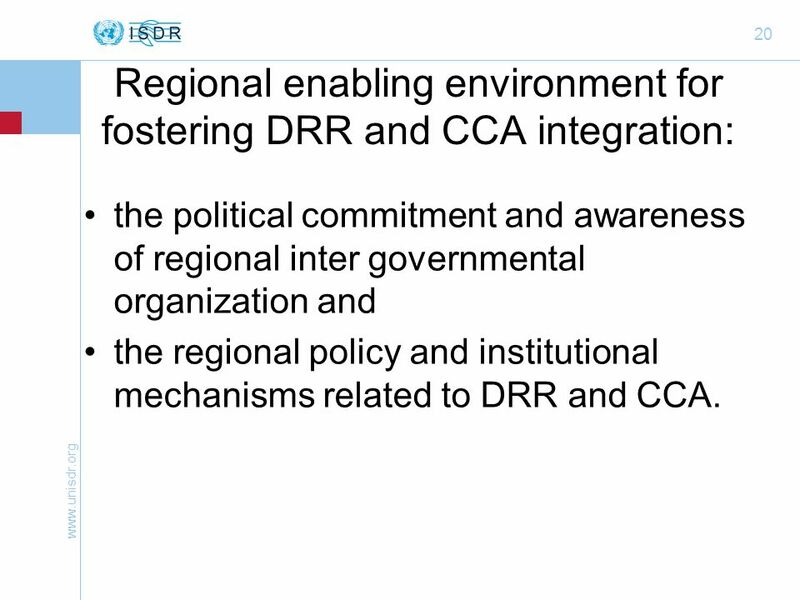 the political commitment and awareness of regional inter governmental organization and the regional policy and institutional mechanisms related to DRR and CCA. 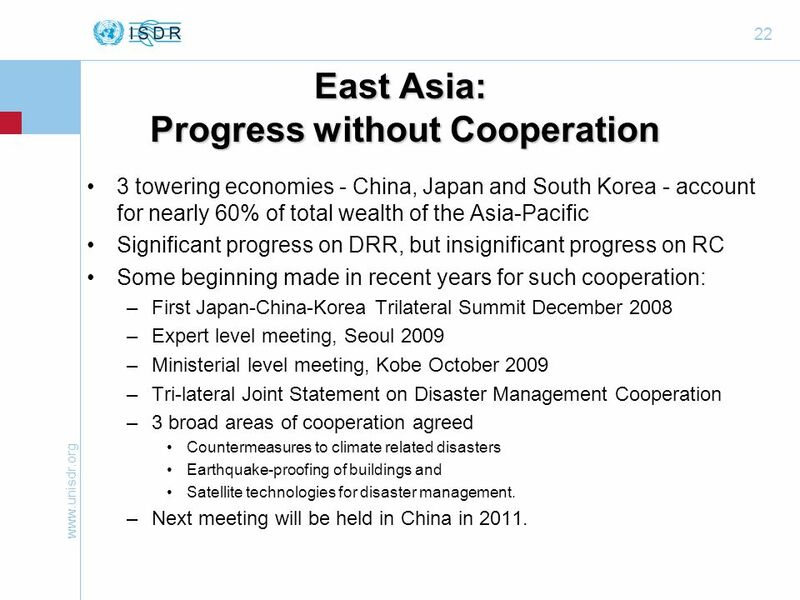 3 towering economies - China, Japan and South Korea - account for nearly 60% of total wealth of the Asia-Pacific Significant progress on DRR, but insignificant progress on RC Some beginning made in recent years for such cooperation: First Japan-China-Korea Trilateral Summit December 2008 Expert level meeting, Seoul 2009 Ministerial level meeting, Kobe October 2009 Tri-lateral Joint Statement on Disaster Management Cooperation 3 broad areas of cooperation agreed Countermeasures to climate related disasters Earthquake-proofing of buildings and Satellite technologies for disaster management. 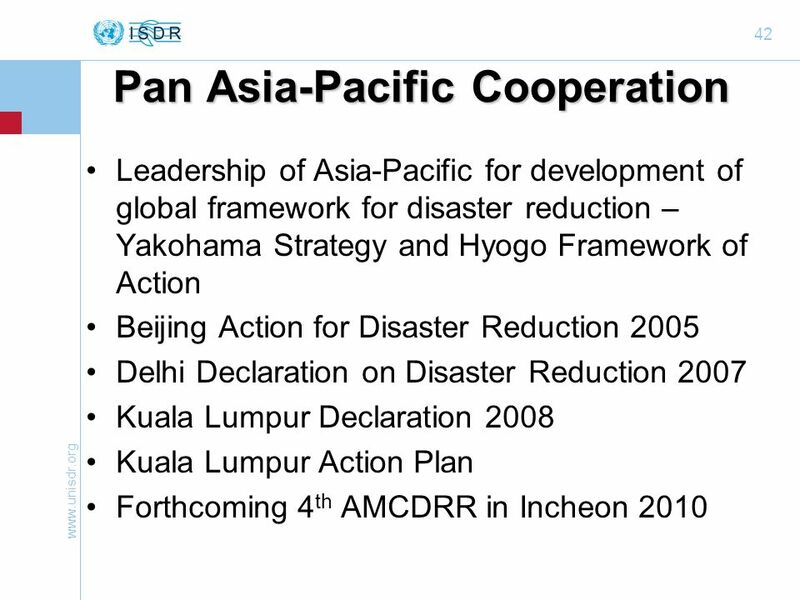 Next meeting will be held in China in 2011. 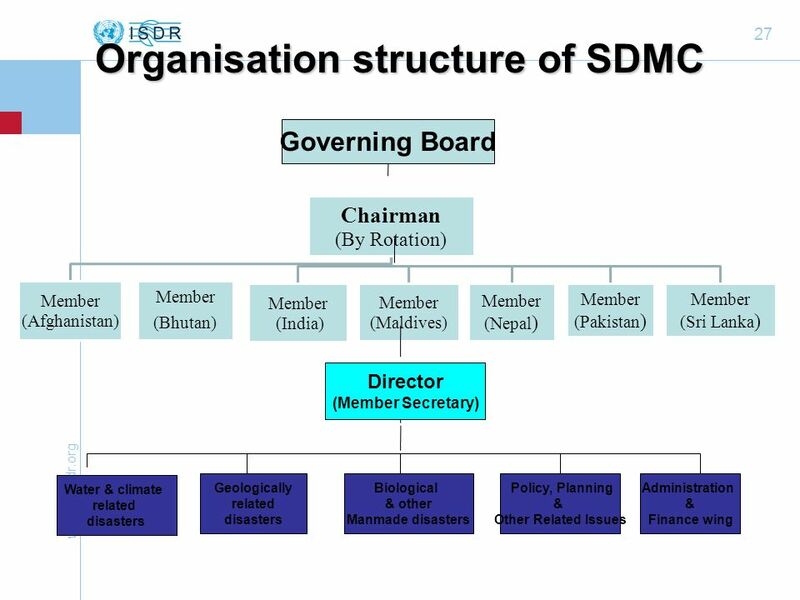 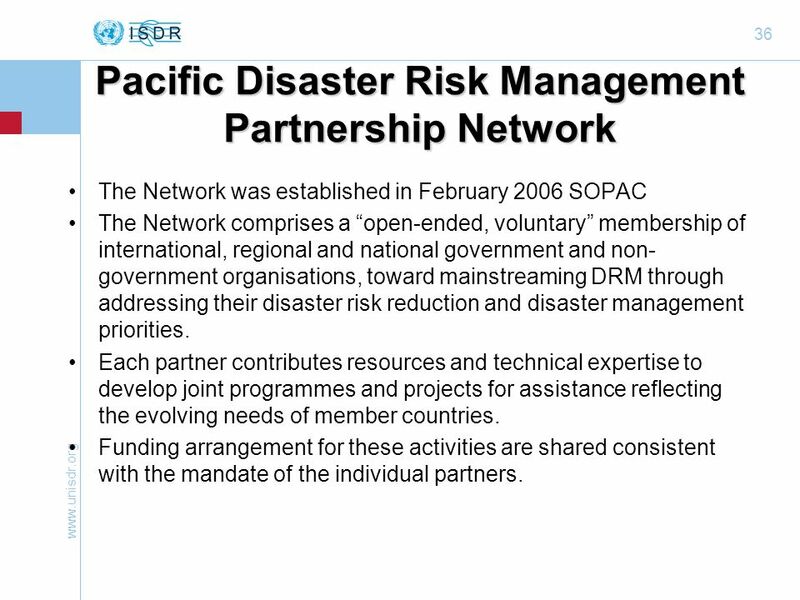 The Network was established in February 2006 SOPAC The Network comprises a “open-ended, voluntary” membership of international, regional and national government and non-government organisations, toward mainstreaming DRM through addressing their disaster risk reduction and disaster management priorities. 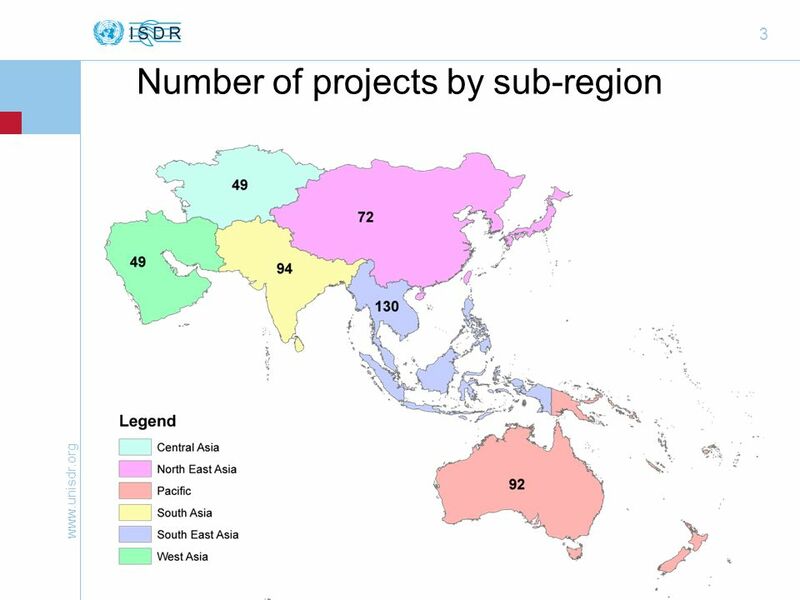 Each partner contributes resources and technical expertise to develop joint programmes and projects for assistance reflecting the evolving needs of member countries. 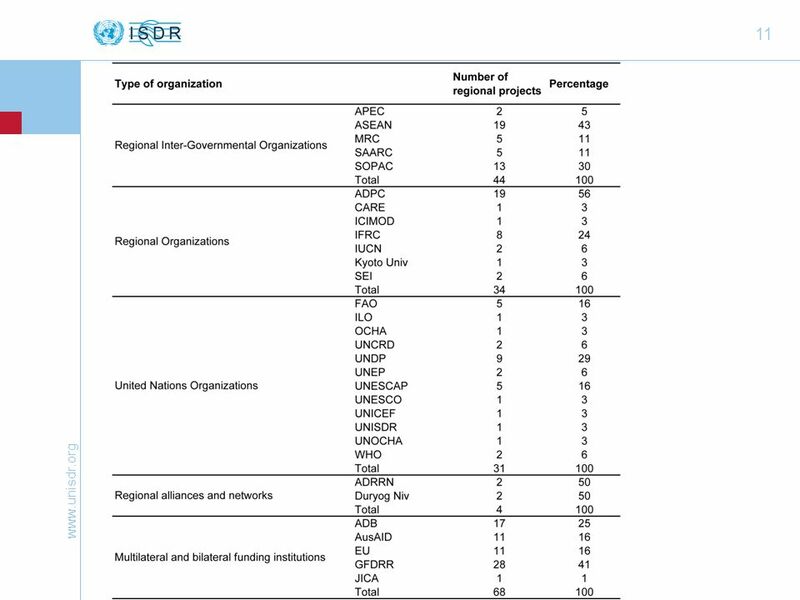 Funding arrangement for these activities are shared consistent with the mandate of the individual partners. 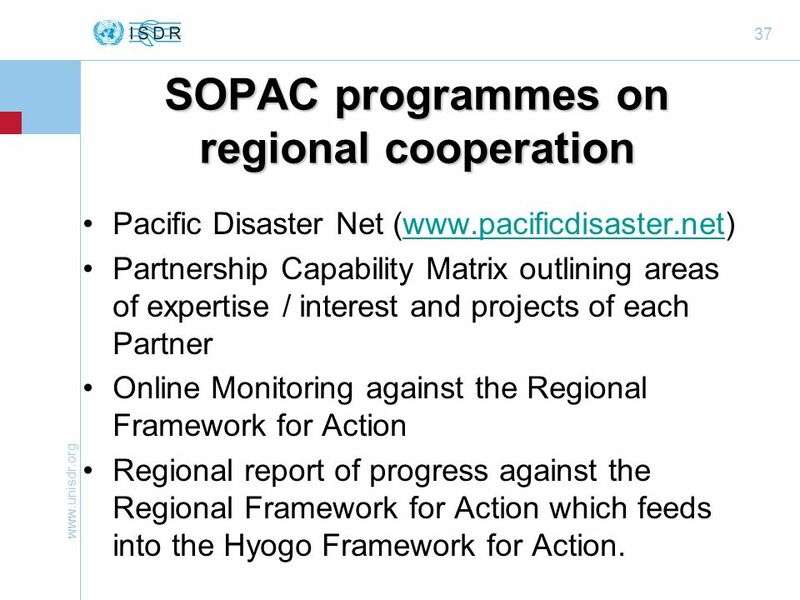 Pacific Disaster Net ( Partnership Capability Matrix outlining areas of expertise / interest and projects of each Partner Online Monitoring against the Regional Framework for Action Regional report of progress against the Regional Framework for Action which feeds into the Hyogo Framework for Action. 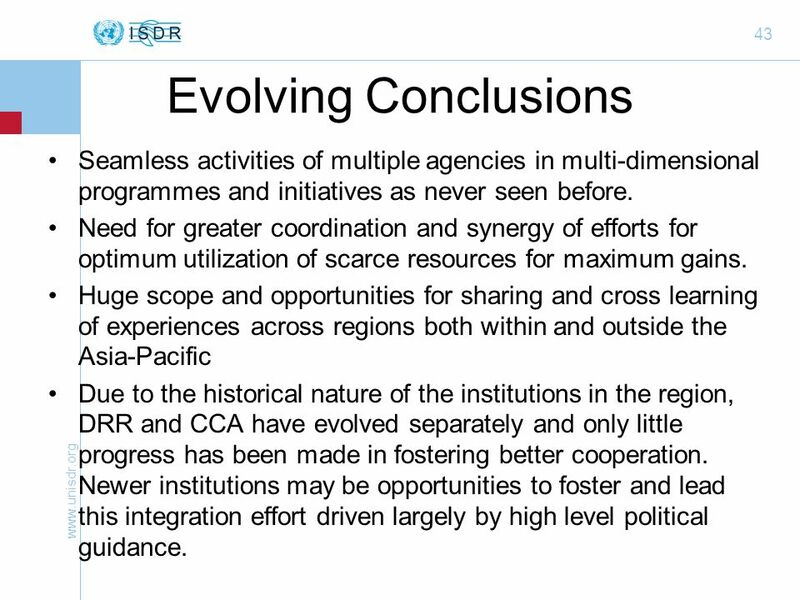 43 Evolving Conclusions Seamless activities of multiple agencies in multi-dimensional programmes and initiatives as never seen before. 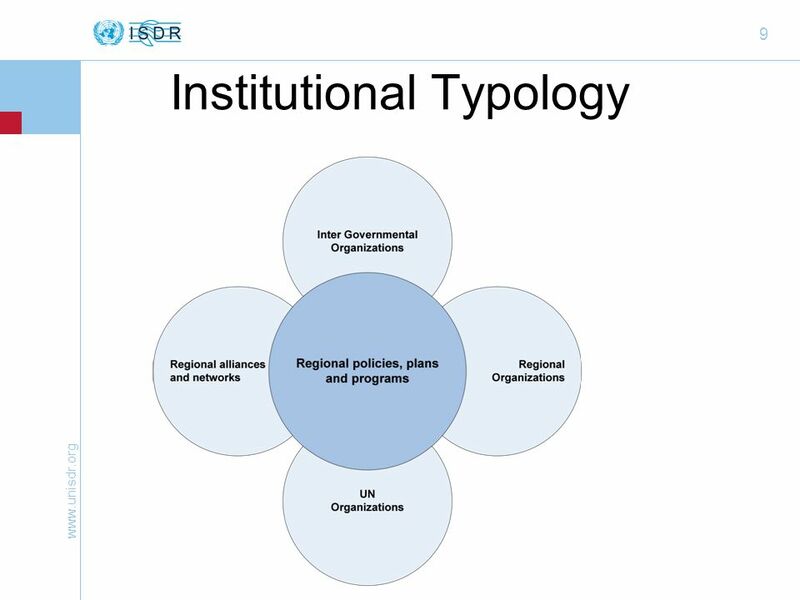 Need for greater coordination and synergy of efforts for optimum utilization of scarce resources for maximum gains. 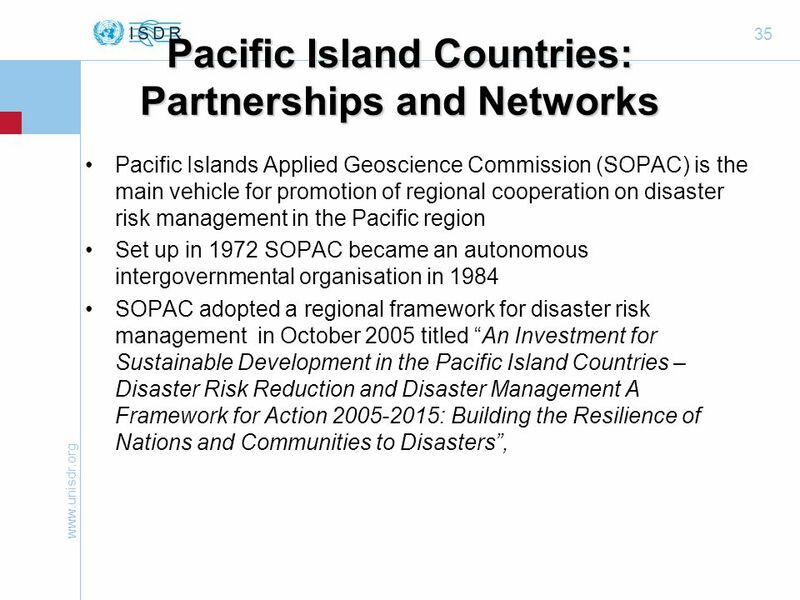 Huge scope and opportunities for sharing and cross learning of experiences across regions both within and outside the Asia-Pacific Due to the historical nature of the institutions in the region, DRR and CCA have evolved separately and only little progress has been made in fostering better cooperation. 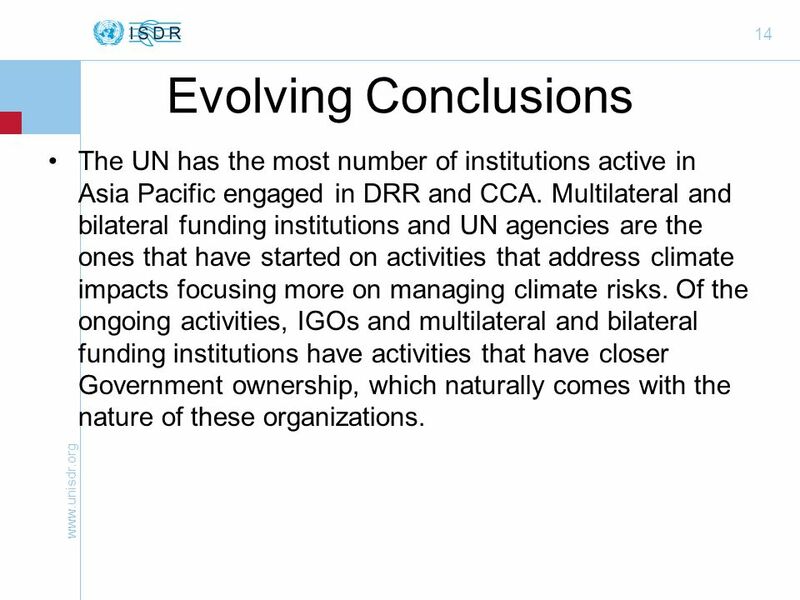 Newer institutions may be opportunities to foster and lead this integration effort driven largely by high level political guidance. 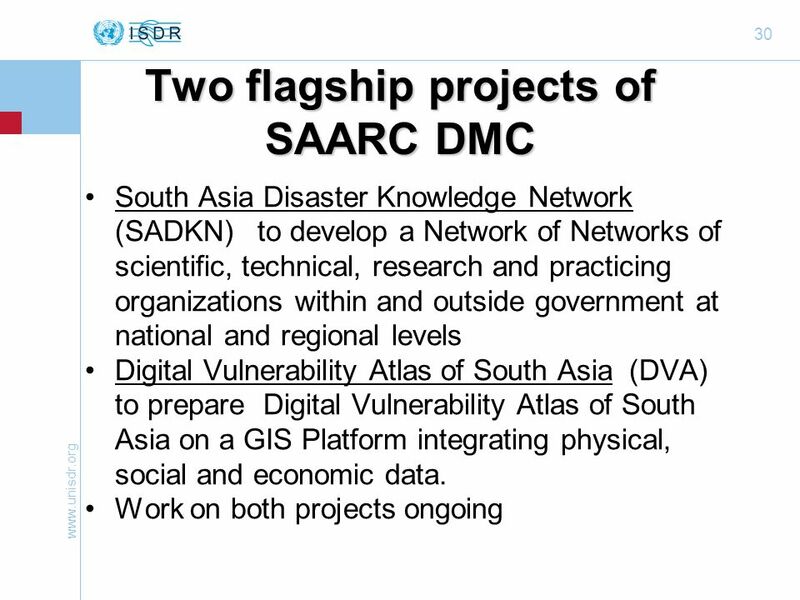 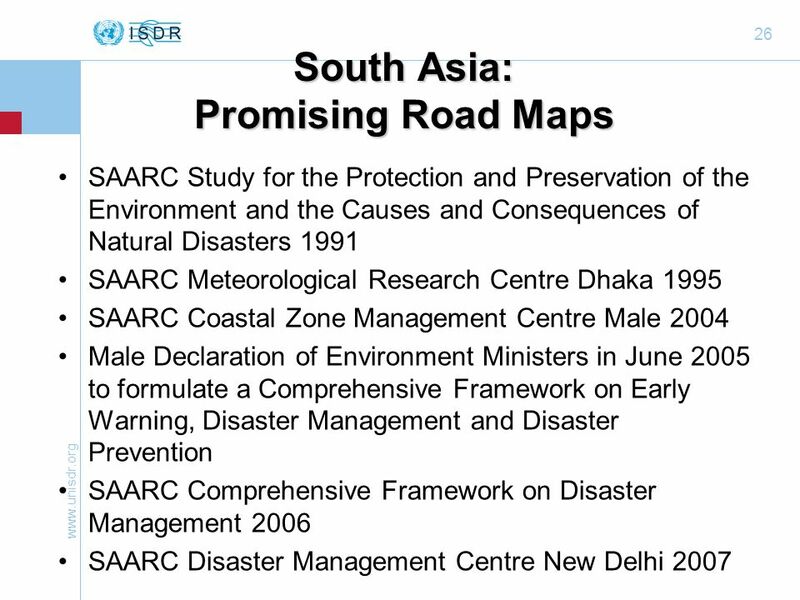 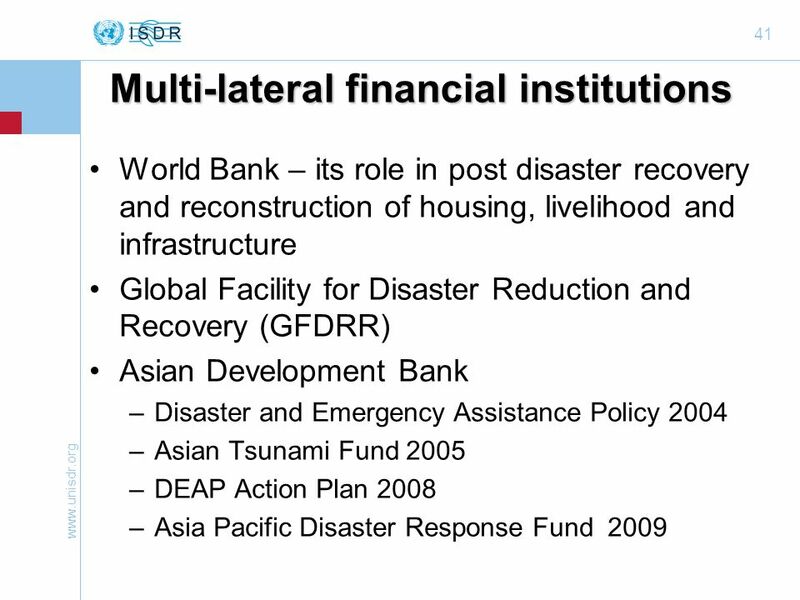 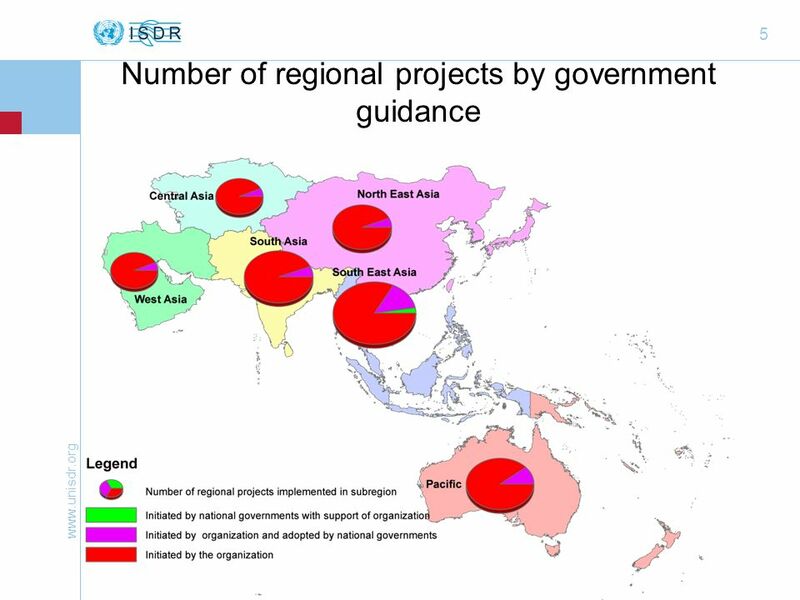 Download ppt "Institutional and Policy Landscape on DRR and CCA in Asia and Pacific"
World Bank Role in Disaster Risk Management and Finance 1 Global Facility for Disaster Reduction and Recovery (GFDRR) Overview of Partnerships and Results. 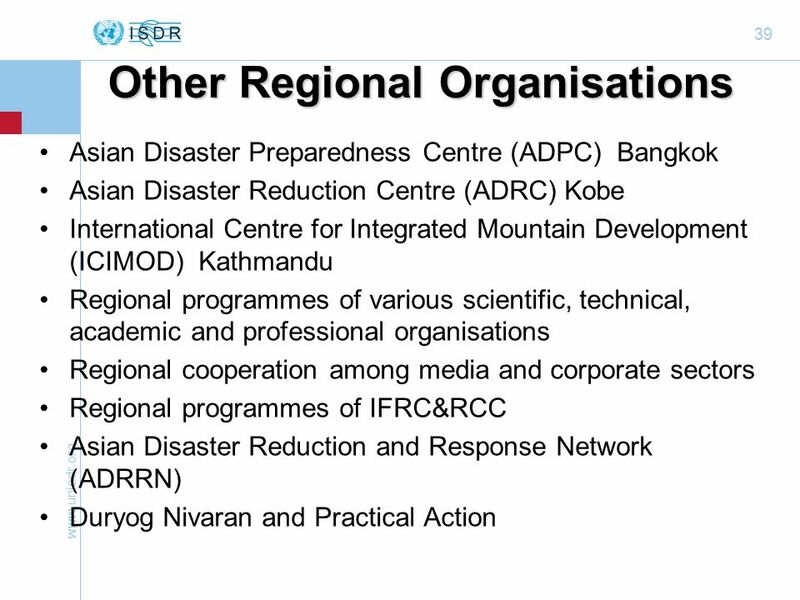 Consultation on Emerging DRR Needs in Changing Context of Myanmar: Global and Regional Context Source: AHTF Sudhir Kumar Asian Disaster. 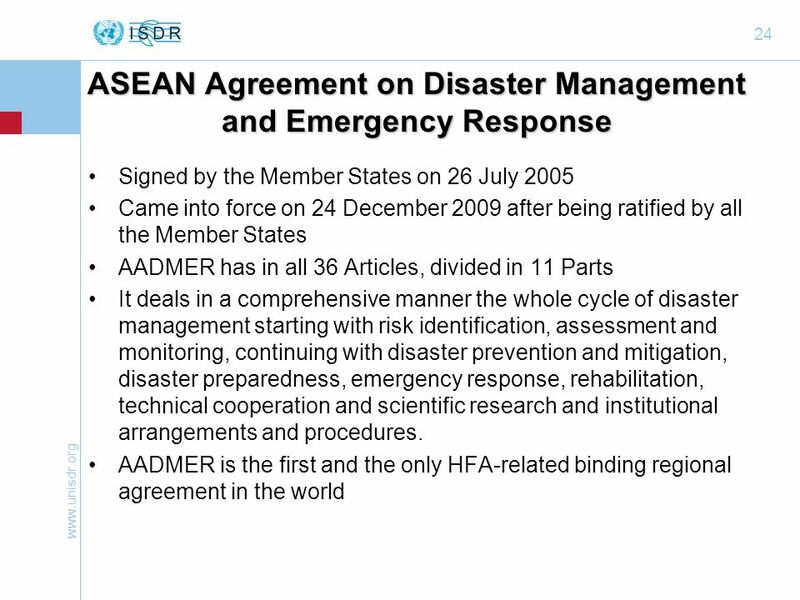 Internal Evaluation Evaluation of the UNISDR Secretariat Asia Pacific 2009 Contract Commencement: Monday 2 February 2009 Contract Completion: Friday 6. 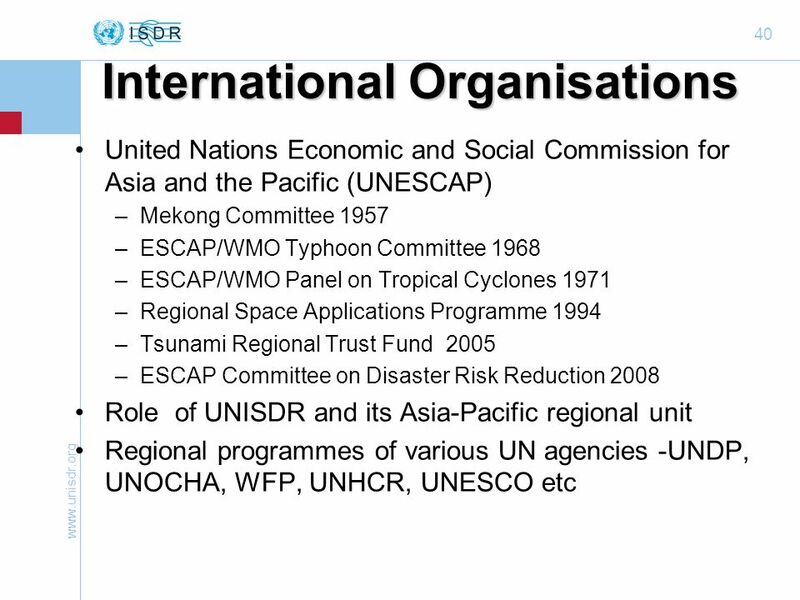 ESCAP Disaster Risk Reduction Strategy in Asia and the Pacific including North and Central Asia Nikolay Pomoshchnikov Head ESCAP Subregional Office for. 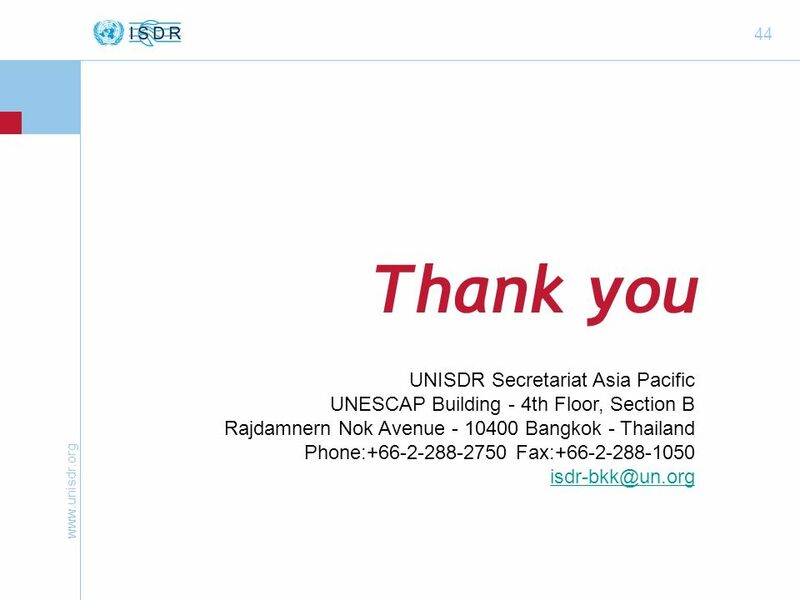 United Nations Environment Programme. 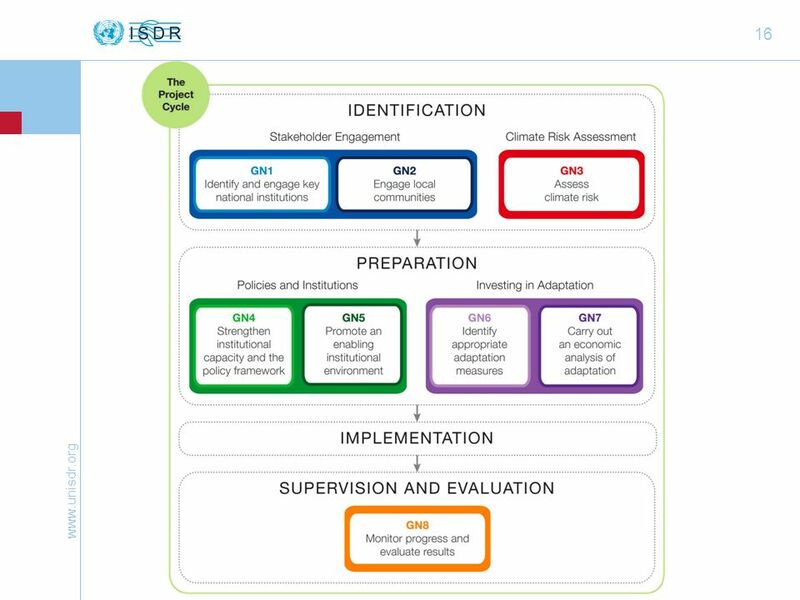 UNEP’s Work to Advance the Preparation and Implementation of National Adaptation Programmes of Action 3 September. 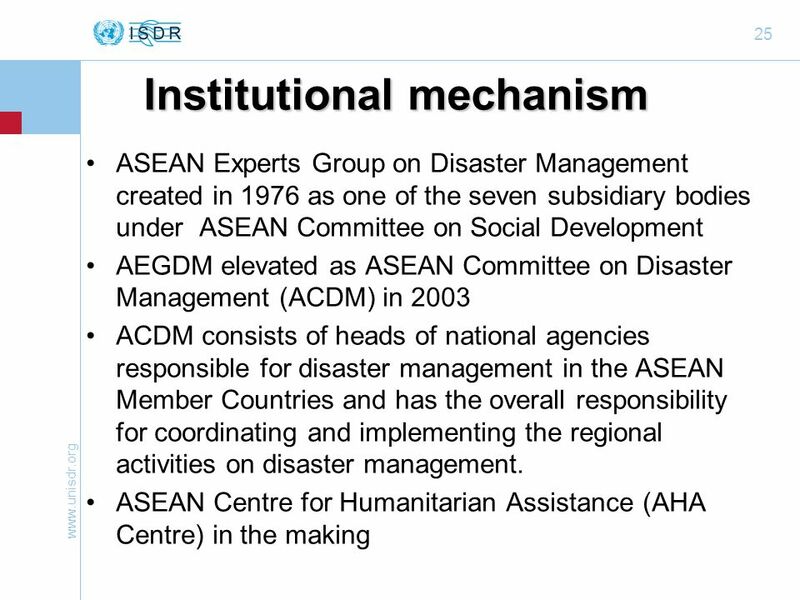 APN & its Activities in L&D Linda Anne Stevenson. 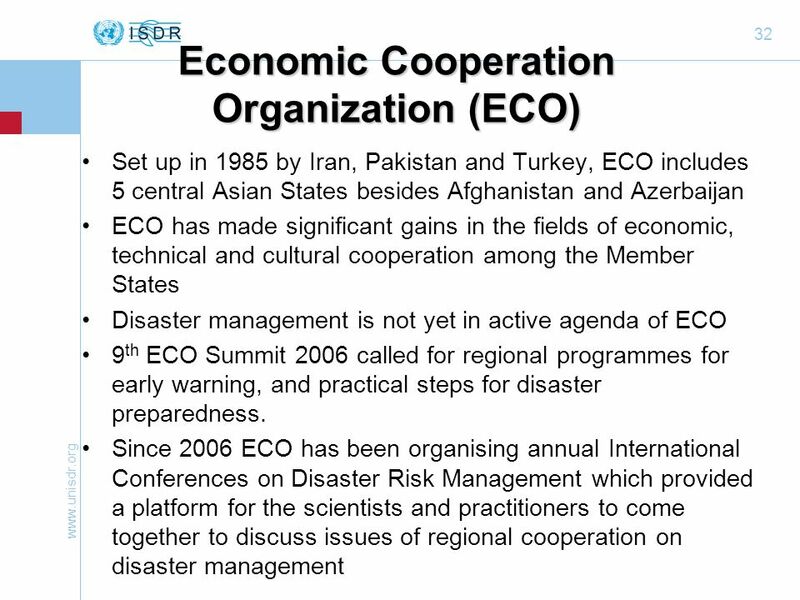 1 Margareta Wahlström Secretary-General’s Special Representative for Disaster Risk Reduction United Nations International Strategy for Disaster. 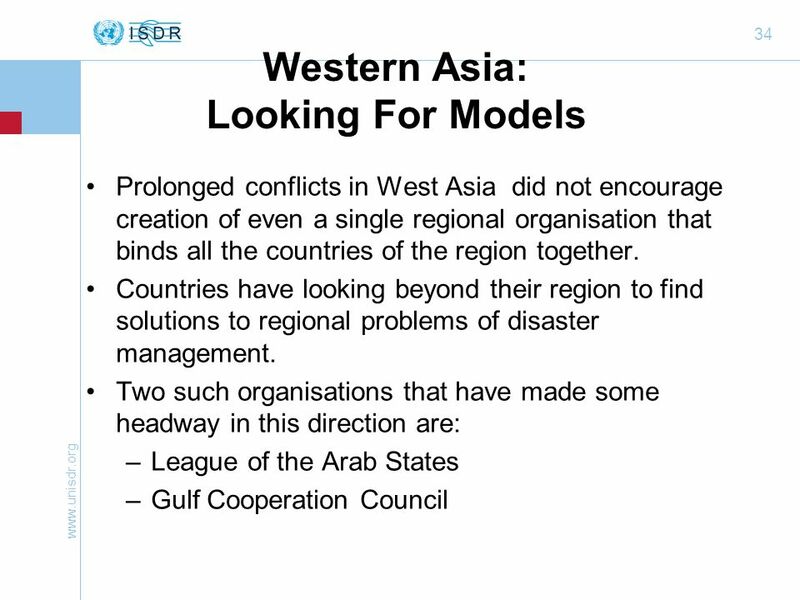 Background Based on Global Framework agreed in Kobe. 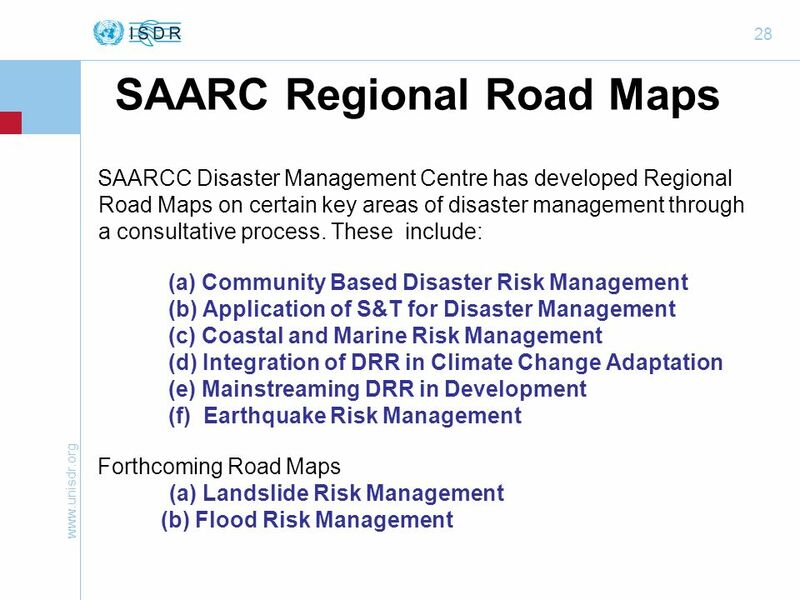 Developed through regional and national consultations over two years. 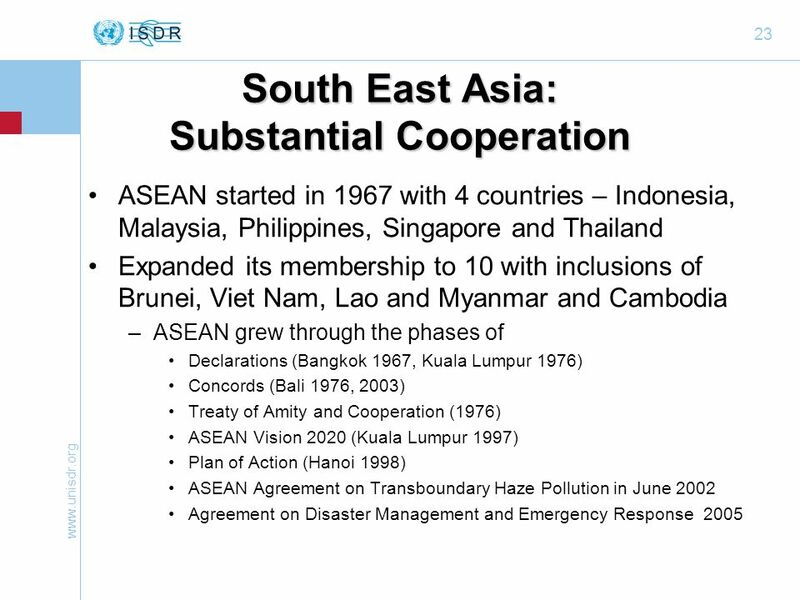 Includes lessons learned since. 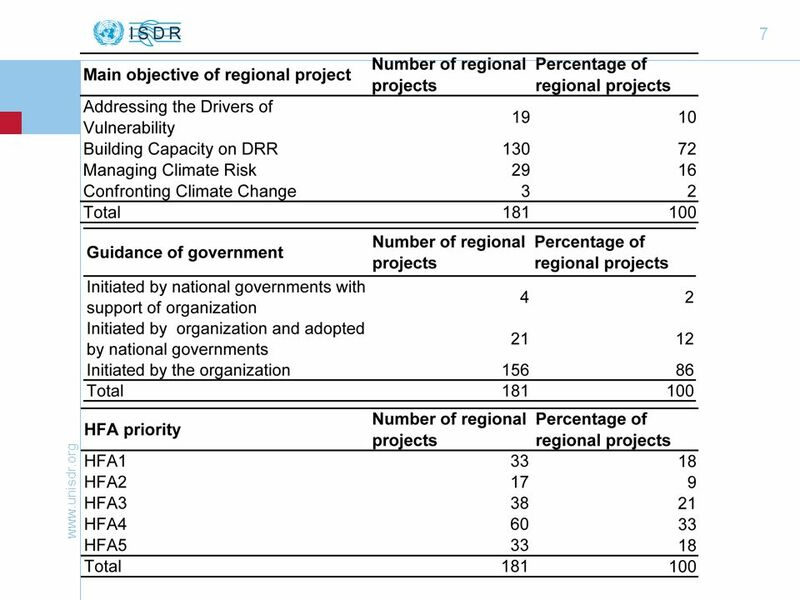 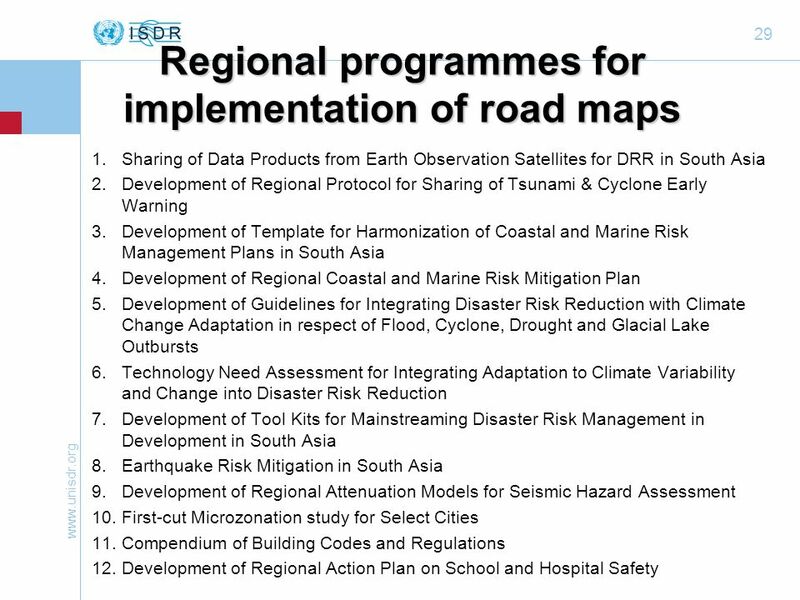 Activities being proposed by the UNISDR Secretariat.